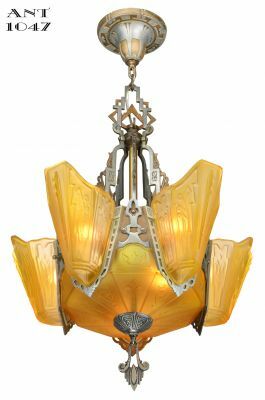 After two years of working on this project, we now offer one of the finest Art Deco recreations on the market today. 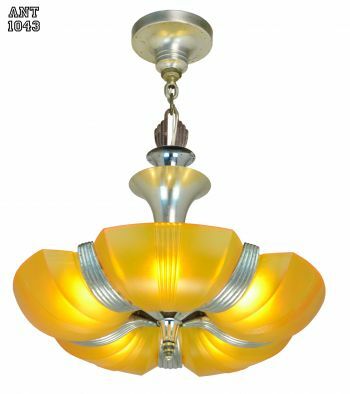 Originally made by MidWest Manufacturing of Kansas City, Kansas in 1935, this company had a remarkable attitude towards the Great Depression. 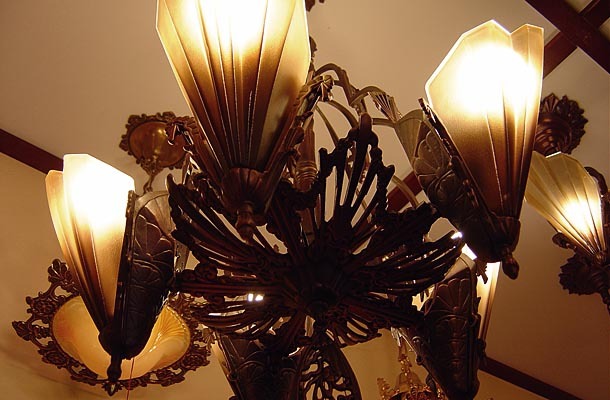 Their attitude was to make only the best, since there are always folks with money out there, even in the worst of times. 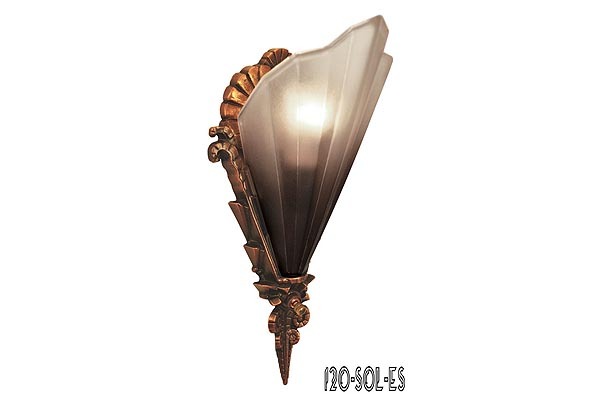 So...for this “Soleure Series,” we adopted a likewise philosophy. 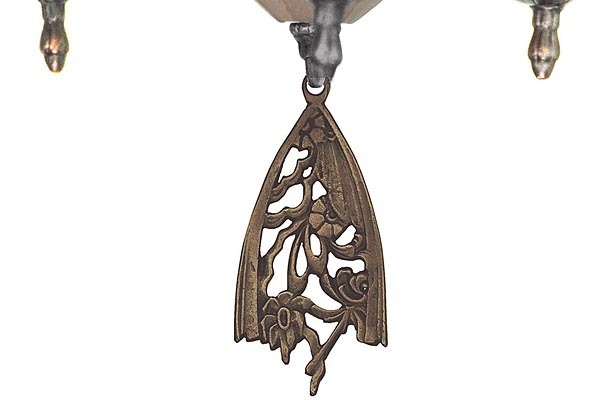 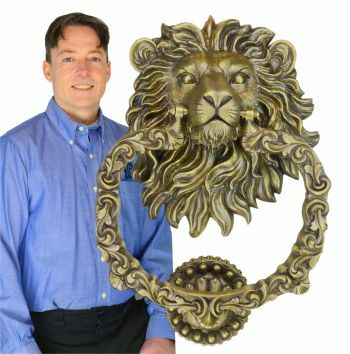 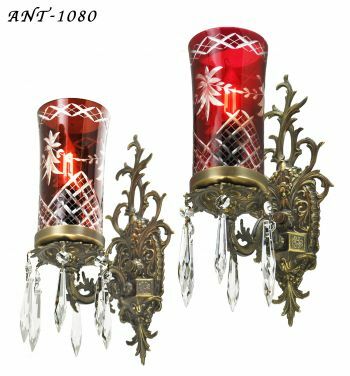 Make it from the best materials (silicon bronze), by the best method (lost wax casting like jewelry is made), with the best glass shade, and finished it in a fine red bronze finish with highlights of the original metal... since there still are discriminating tastes out there in these times. 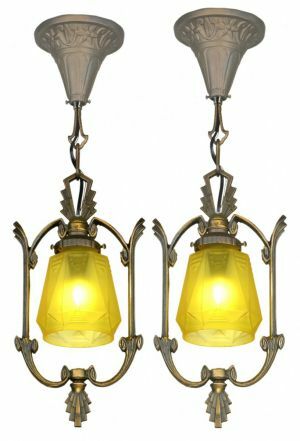 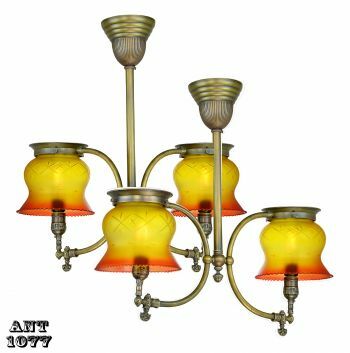 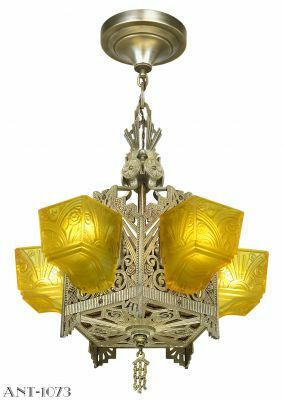 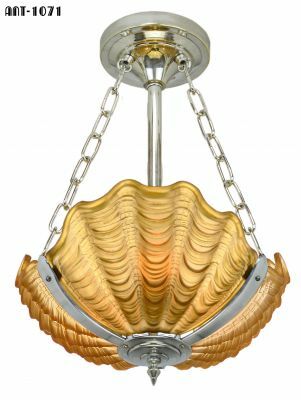 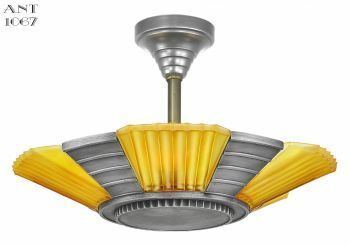 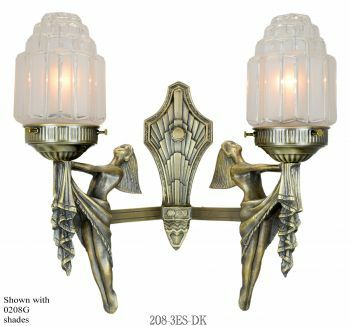 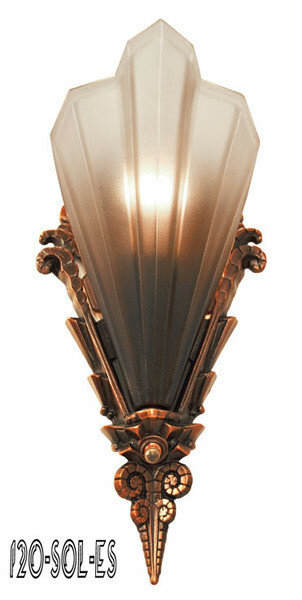 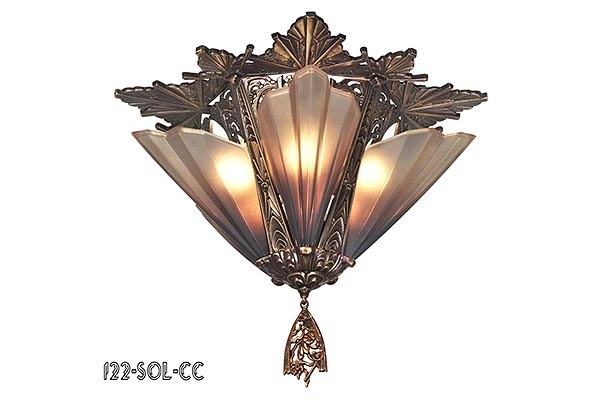 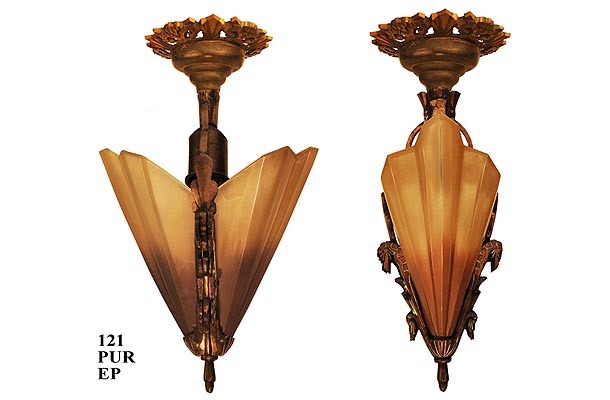 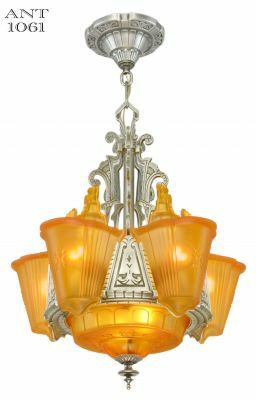 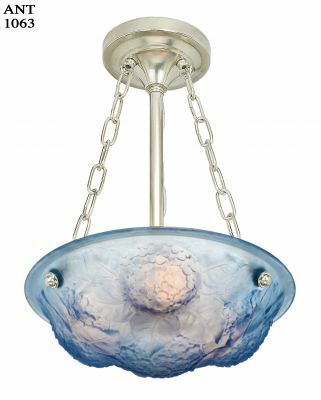 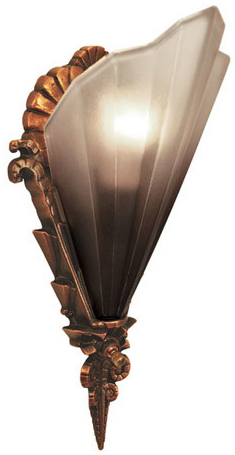 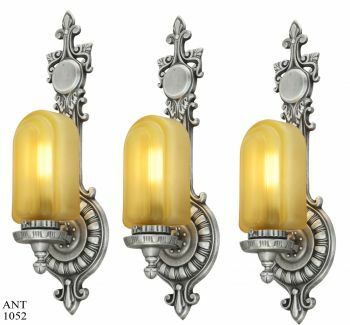 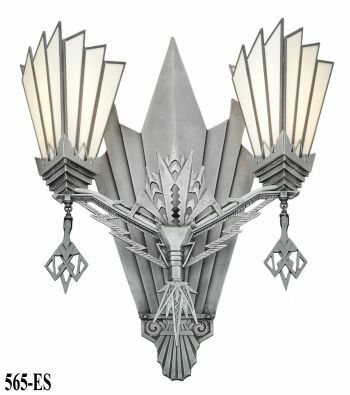 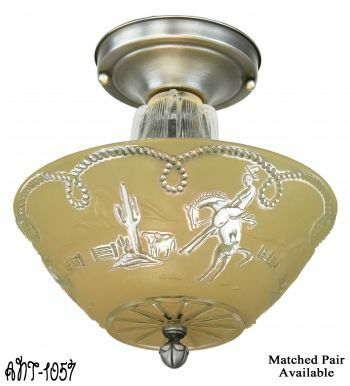 Since we are curators of the only American Art Deco Lighting Museum, (see www.thedecomuseum.com) we can assure you that the original manufacturer and original manufacturing date of this fixture has been verified by our literature library as being from MidWest Mnfg and of this time period. 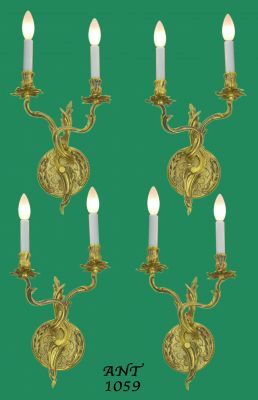 Projects a mere 4 ½” from the wall. 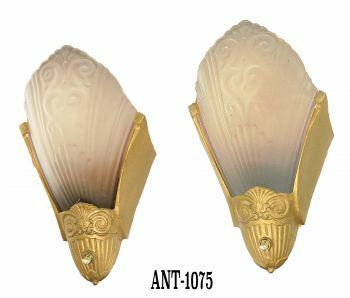 The socket can handle up to a 100 watt incandescent bulb, or purchase our optional LED/SMD bulb 45G-E26 using only 1.6 watts and putting out about 25 watts of incandescent equivalent light. 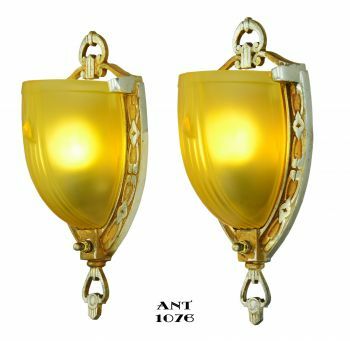 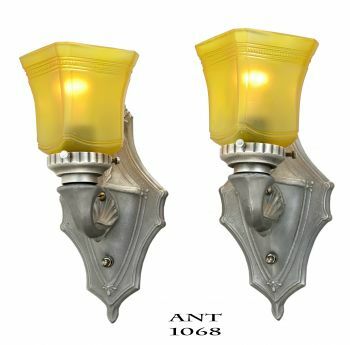 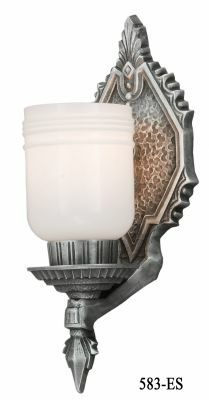 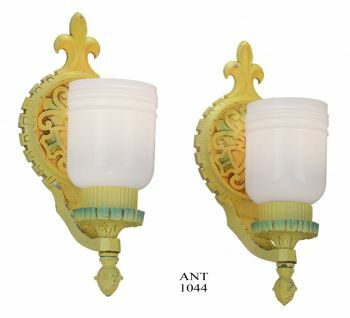 Makes running the sconce all night long, perhaps as a nite lite, very economical indeed and cool to the shade as well. 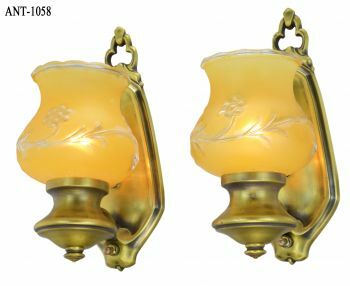 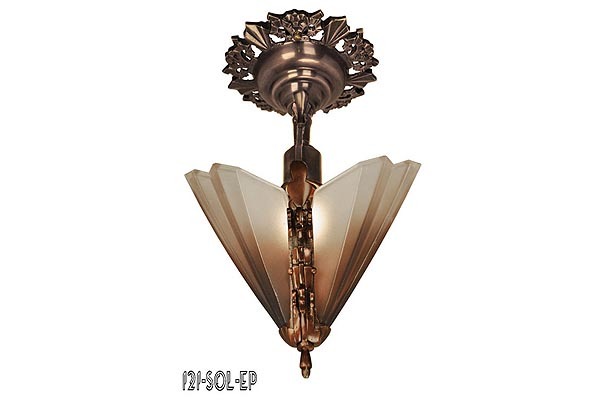 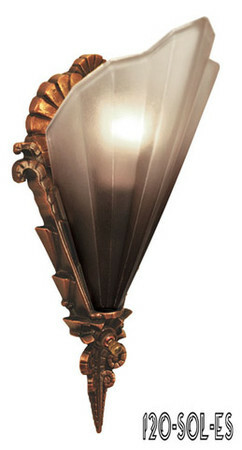 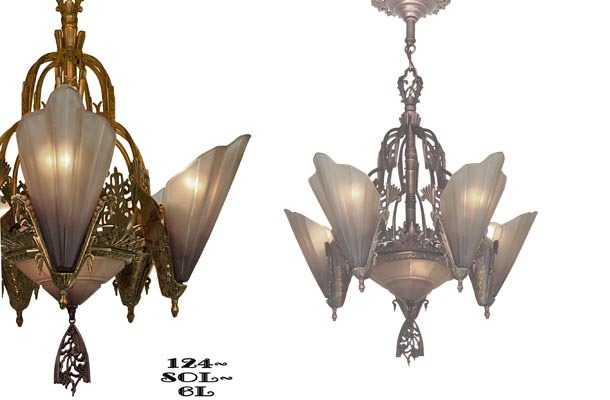 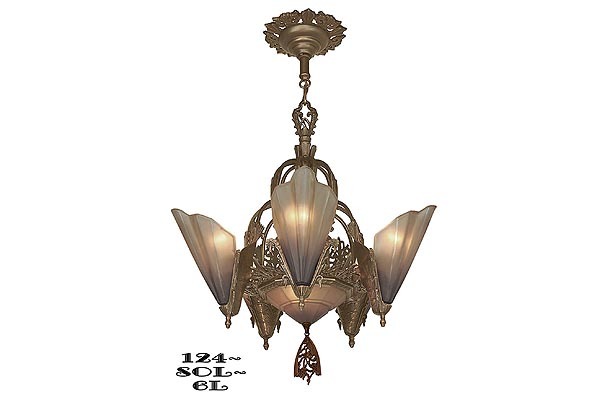 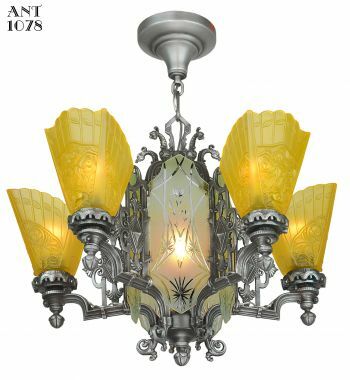 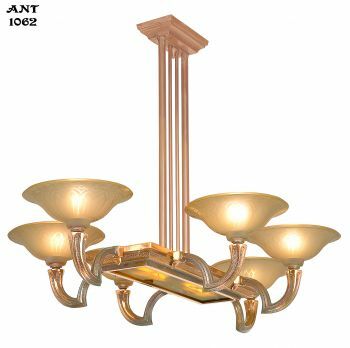 We are also manufacturing the fine bronze Soleure two light pendant, and the Soleure 5 light close chandelier. 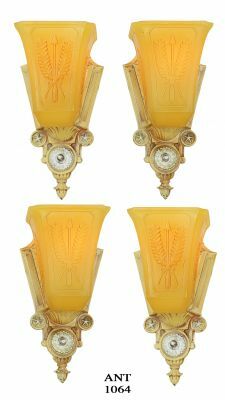 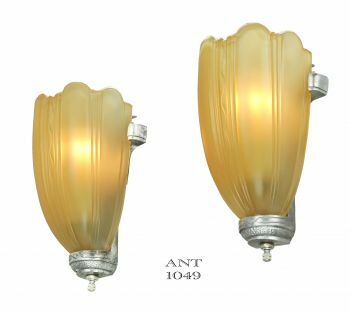 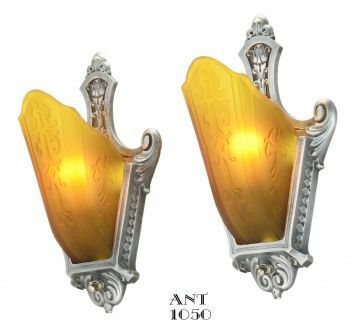 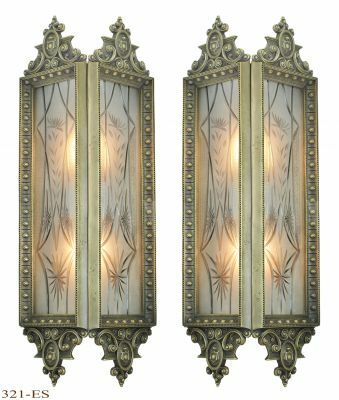 If you already own an antique art deco Mid West Soleure and need replacement slip shades, we are also making them of top quality glass.